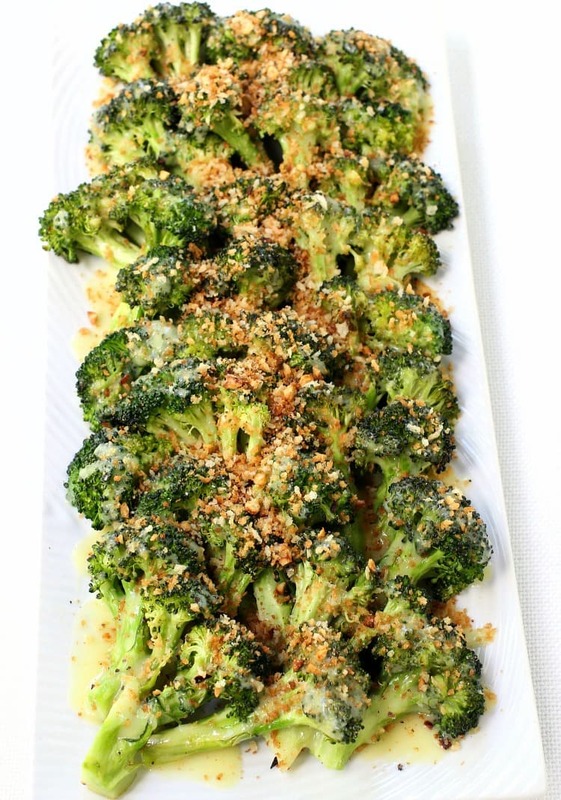 Roasted Broccoli with Buttery Bread Crumbs is my favorite way to make broccoli, in fact I think it’s the only way to make broccoli taste it’s best! 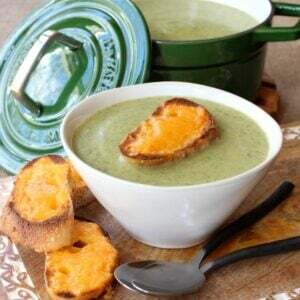 When we were thinking of a recipe to make for Food Fanatic, we thought of a kicked up side dish. THere’s not enough in my opinion. Side dishes always take a second seat, especially when it comes to broccoli. 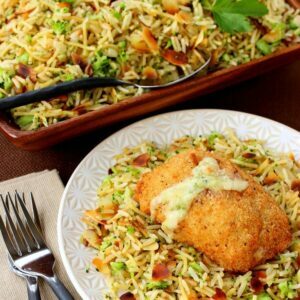 Even you people out there that think you don’t like broccoli, take my word for it and try it out this way. Roasting the broccoli makes the broccoli taste amazing, pretty much like roasting any vegetable. It brings out the best flavor possible with only a little olive oil, salt and pepper. We always roast string beans the same way too. Salt, pepper and olive oil and roast at a high temperature until almost blistery. That’s how we got out kids to eat beans, and they never stopped. I can honestly say, too that this is how I actually started liking vegetables too. I always thought a vegetable just was boiled and then maybe had some butter on top. Kind of boring. Maybe that’s why I never liked them so much. But roasting vegetables takes them to a new level. Crisp, salty and no butter needed. Just pair this broccoli with a nice steak or chicken and you’ve got yourself an amazing meal. 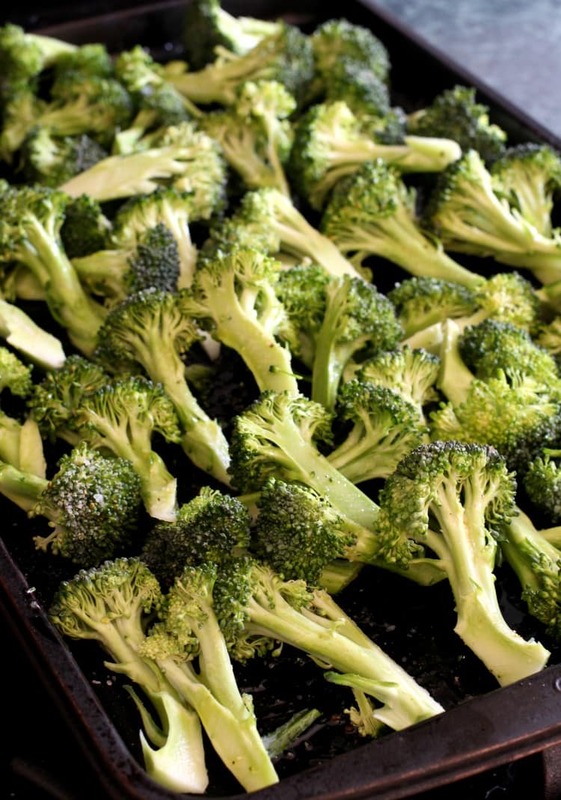 ALl you have to do is get a whole bunch of broccoli, salt and pepper and olive oil it then roast it in the oven. 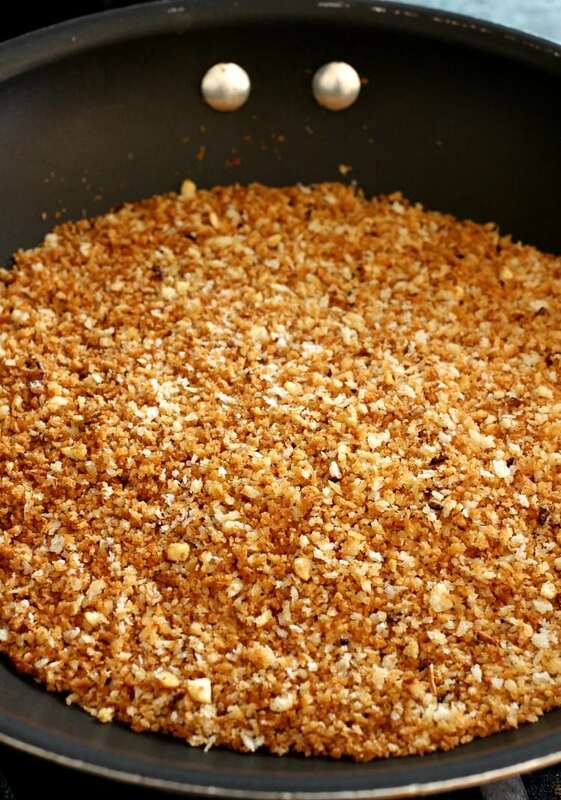 While it’s roasting you can make the buttery bread crumbs and the sauce. 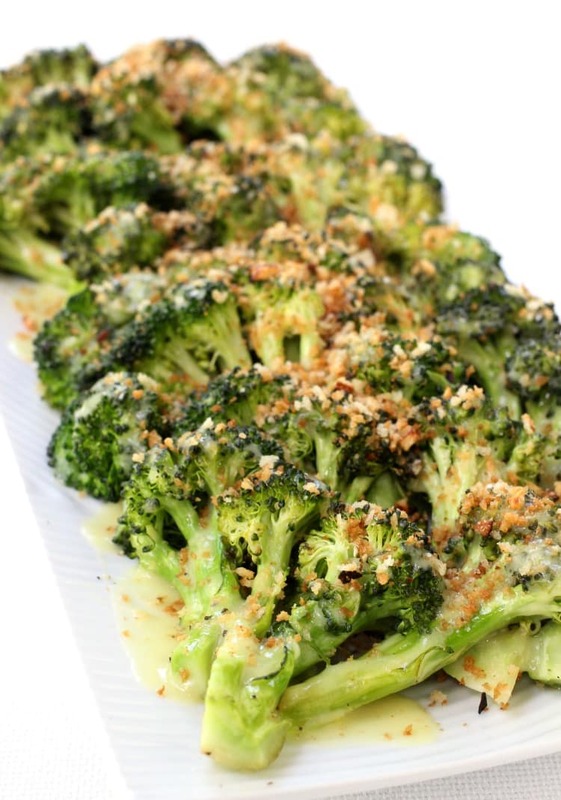 This recipe takes roasted broccoli and kicks it up even a little more by covering it with hollandaise sauce and toasted, garlicky, buttery breadcrumbs…and you’re not going to believe how good it tastes. I ended up making this a few times to get the exact picture I wanted, I wanted drippy sauce and lots of breadcrumbs showing and the first round didn’t turn out that way. So after going through about 4 pounds of broccoli, I got the right pictures and the right flavor. 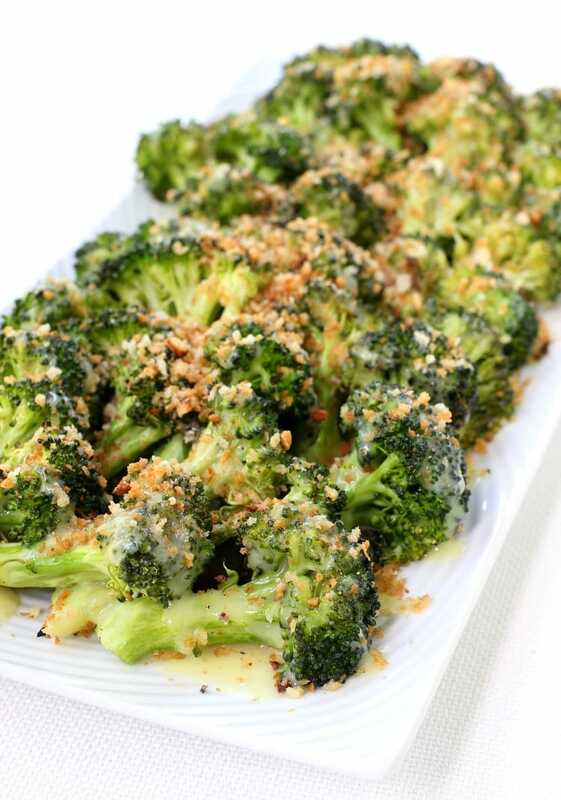 As a result, we ended up with an entire fridge full of Roasted Broccoli with Buttery Bread Crumbs. Not a bad thing. At least I can say that this week I got my 4-5 servings of vegetables per day…probably even double that…but I have a lot of years to make up for so that’s ok.
Here’s the big short cut to my recipe here – wait for it – you don’t have to make your own hollandaise sauce from scratch. No double boiler to get out, no whisking, nothing. Grab a powdered sauce packet from the store and you’ve got hollandaise in 2 minutes. I’m telling you we’ve made hollandaise from scratch and it turns out good, but I don’t think for the effort involved that it’s any better than what I get from a dollar packet from the store. So there’s my recipe hack for today, don’t look at this recipe and think that it’s a side dish that’s going to take you forever to make because it’s not. But you can set it out on your dinner table next to a nice, big strip steak and let your family or friends think that it took you forever to make. 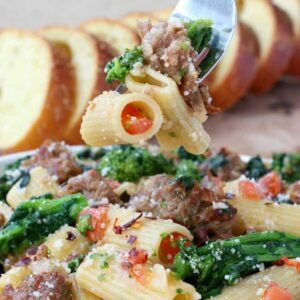 We made this recipe for our friends over at Food Fanatic, make sure you head over to check out more recipes like this one!